Architectural Hardware Consultant | Taylor, Cotton, & Ridley Inc.
TCR offers factory direct distribution of the door and hardware industry’s most reputable products. 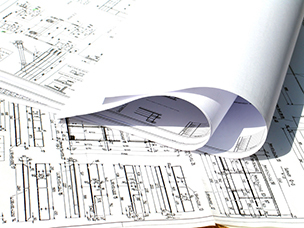 Our knowledgeable staff can provide a thorough take-off and proposal from your project’s plans and specifications. Each project order is assigned a sales consultant or project manager to provide engineered submittals and schedules, place material orders, process changes, and maintain a strict delivery schedule in accordance to the project needs. We have warehouse and fabrication facilities in Gainesville, Jacksonville & Orlando, Florida to cover our primary sales coverage area of Florida, Southern Georgia & Southern South Carolina. 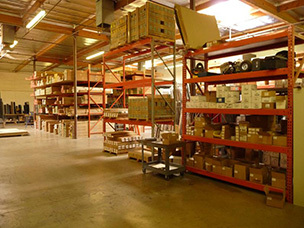 Through factory direct shipments, TCR has serviced orders and projects throughout the United States, the Caribbean Islands, parts of Western Europe and the Middle East. As a distributor of hollow metal door and frame products, our local facilities assemble and weld hollow metal frames with factory trained specialists. 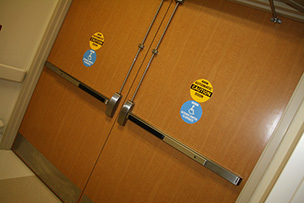 Certified by Intertek, our facilities can provide custom engineered or modified metal doors and frames with applied “fire tested labels”. Our storage facilities are prepared to house each project before its’ required installation date. Our trained warehouse staff inspects and reviews each order. All materials are identified and labeled with the architectural floor plan assigned opening designation. TCR was one of the first commercial door and hardware supplier’s established in Florida to incorporate a supply & installed package to our customers. Utilized in all classifications of construction projects, our installers have performed for some of the largest and highly recognized projects in our territory. It’s always been our belief that using our project manager’s knowledge of the door and hardware materials and working directly as the responsible installer serves in the best interest of any project. Through direct installation, TCR has minimized the risk of lost materials, incorrect installation, and product quality control on jobsites. Our single source contracts have simplified project coordination with fewer sub-contractors, and given our clients a one-point contact for doors and hardware. TCR maintains several worthy partnerships with sub-contractors specializing in Automatic Door Operators, Aluminum Doors & Frames, Specialty Sound Assemblies, Detention Equipment, and Card Access Technologies. All of our jobsite staff has been subject to pre-employment and random drug screening. TCR enforces a zero tolerance policy for all employees. TCR encourages on-site drug testing to maintain the safest jobsite environment. 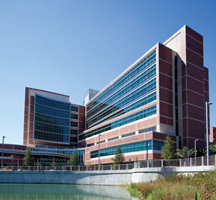 Each TCR project is supervised with a 10 or 30 Hour OSHA certified superintendent. If required, we staff the project with a CPR trained supervisor for our job-site crew. With extensive experience in detention and federal projects, our installers are familiar with all government or state background checks. Our school projects are operated with Jessica Lunsford Act badged employees. Our years of positive and successful experiences with material supply and installation separate our service from the competition. We offer our in-house consulting services to provide custom and job specific hardware specifications for any desired project. Our consultants are industry certified by the Door & Hardware Institute. TCR has partnerships with factory direct specification writers, and can assist with coordination for a successful project. We incorporate all local facility standards and building codes and any desired preferences for continuing expansion or renovations.